Cool Yetis seem to be popping up like mushrooms after a good rain these days. This particular FRO has been hanging in my rafters for over a year now and previously was in storage at First Flight Bikes for almost twice as long. 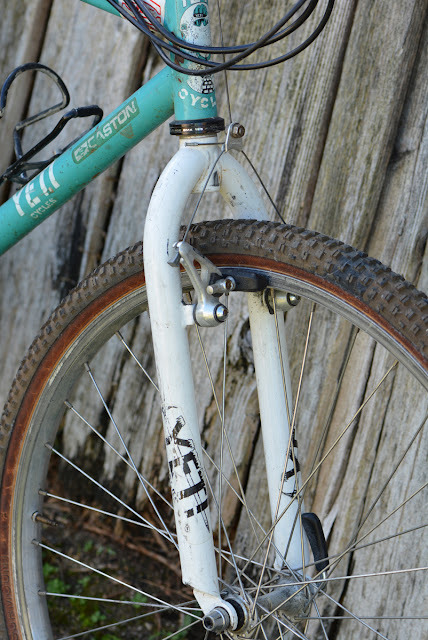 This is the former Yeti race bike of Russel Woorley who was one of the members of the original race team. 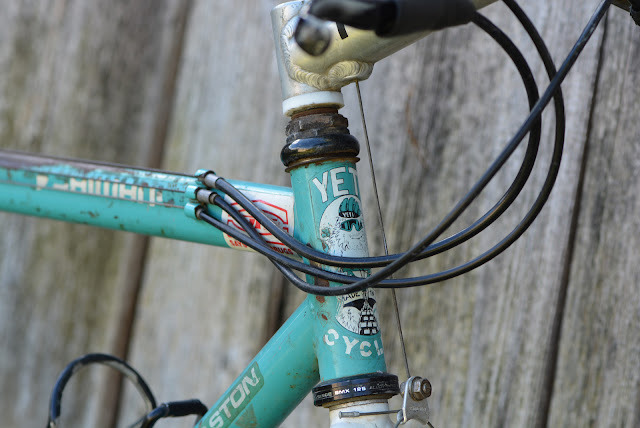 Russel the Muscle as he was famously called back then raced on of the very first Yetis ever made back in 1985. 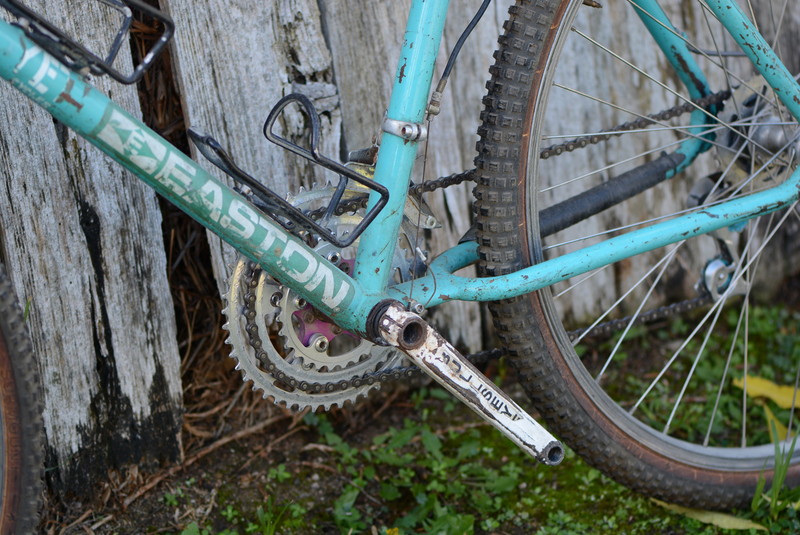 This is Russ' second bike which he received sometime around 1987. 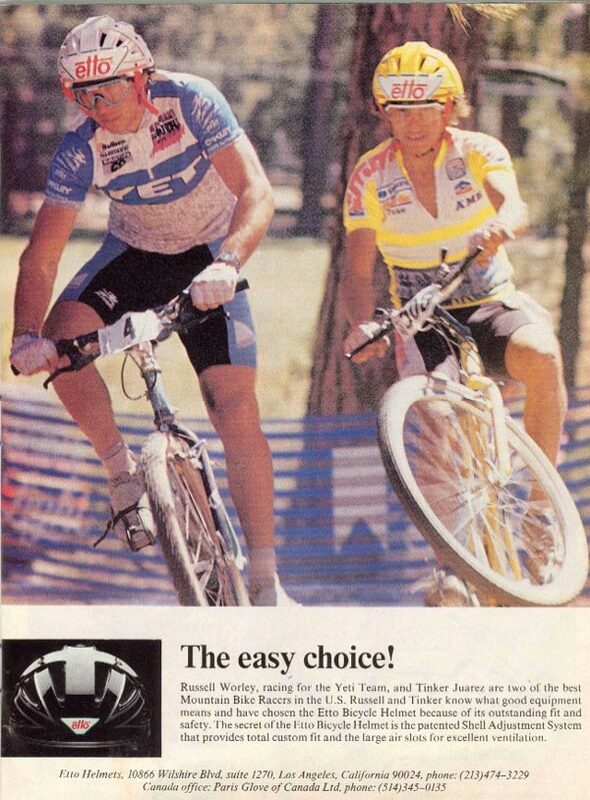 Here's another one of Russ used in a promotional ad for Etto helmets. 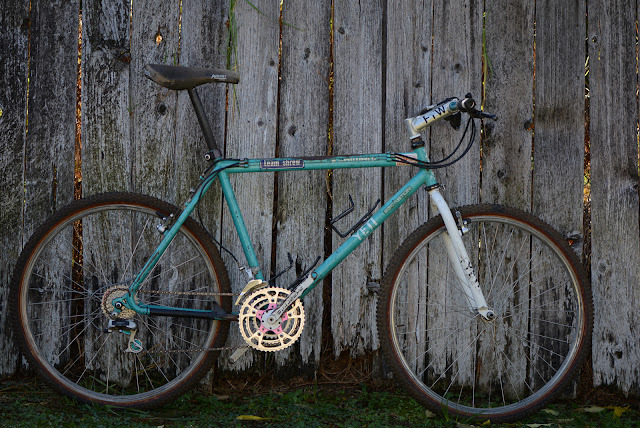 This FRO came up for sale on eBay several years ago and for whatever reason hung up there for a couple cycles. It sold eventually for a relatively low sum (largely impacted by its condition I think) and eventually made its way to me for restoration. 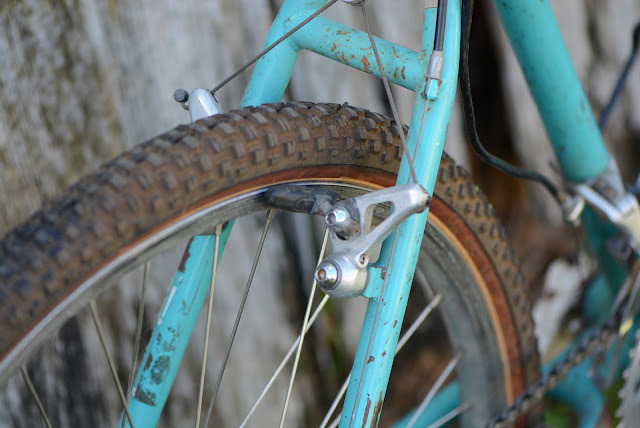 The goal in this particular case is to preserve the patina and simply get the bike back into running condition. 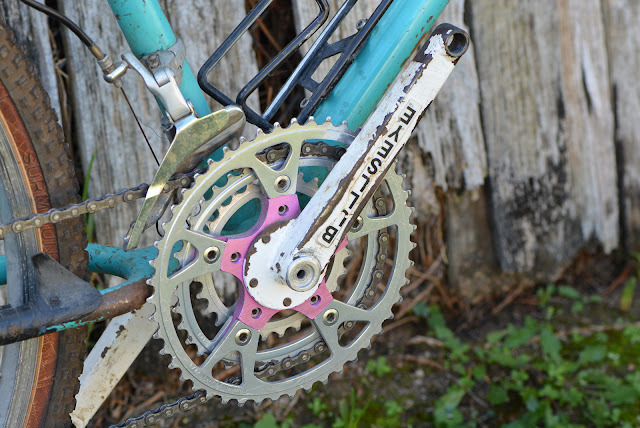 A few parts that are worn or most likely not original will be replaced with what I think would have been on the bike originally. 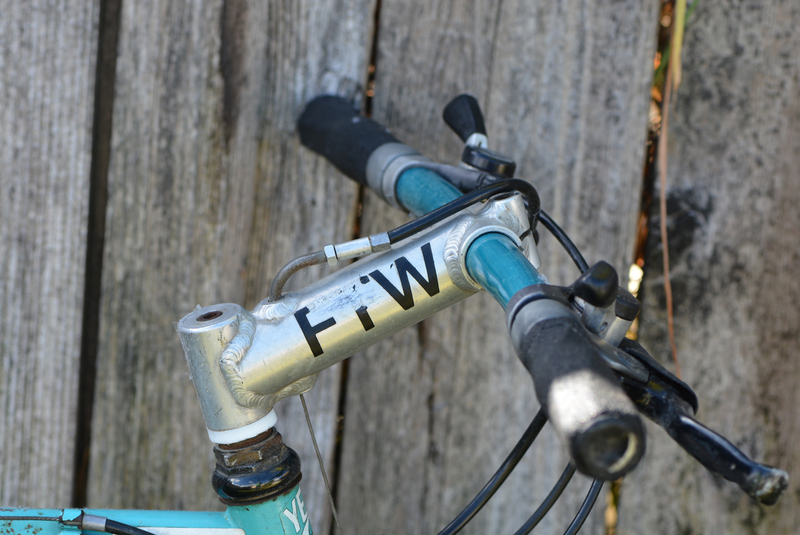 Arguably the crown piece of this build is the very rare FTW (Frank the Welder) Aluminum stem. 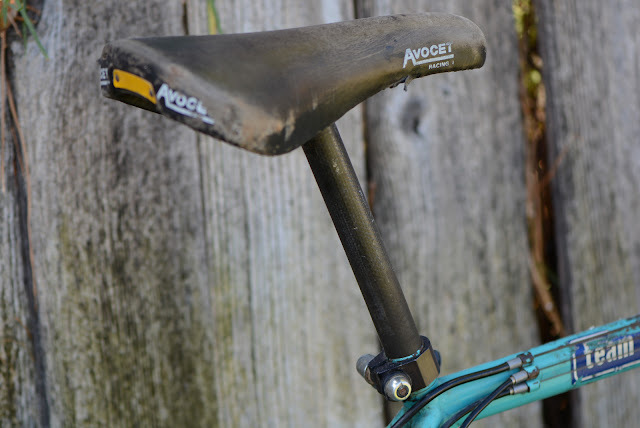 This is progenitor to the much more known Answer Atac stem. 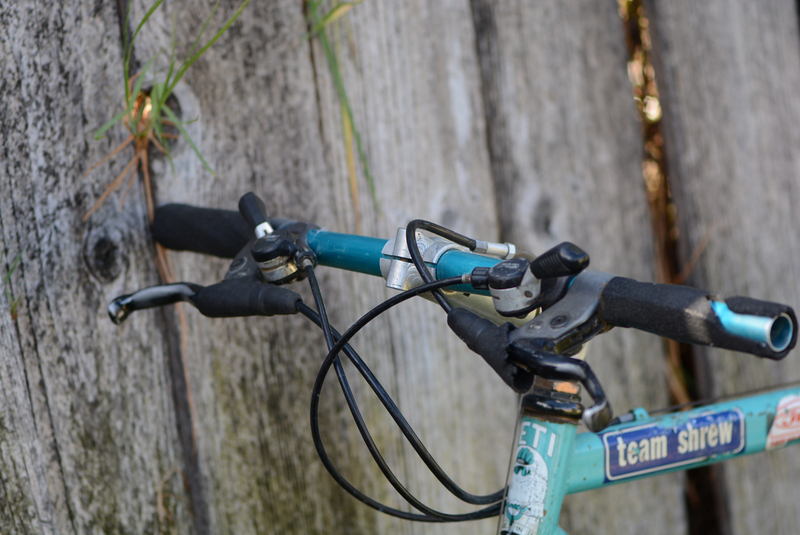 Frank made a handful of these stem for Yeti team racers and private parties back in the day and only a handful are known to be in the hands of collectors these days. 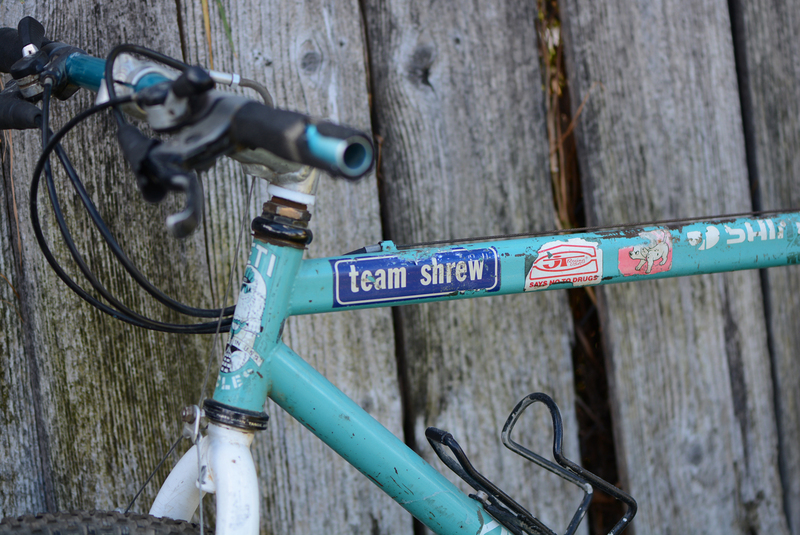 The Team Shrew decals were given out or put on bikes of people who were close friends with Parker. Only a couple Yetis in the hands of collectors are known to have these. One was Parkers original Moto Cruiser which served as the prototype Yeti, another which belonged to Matt Sweeney and this one. This bike (serial 411) is one of the last FROs I have recorded with a first generation headtube badge. 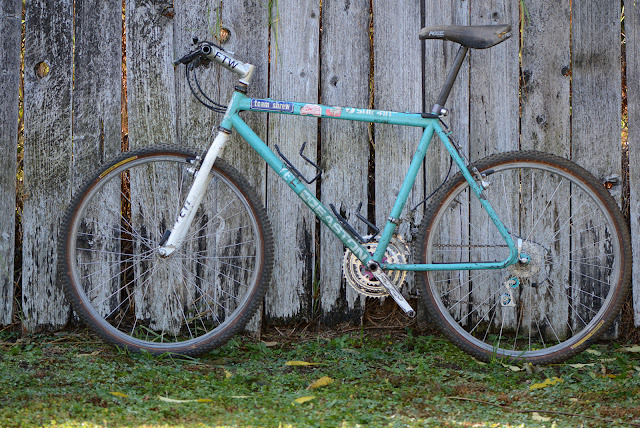 The fork is probably not original as the photos I've seen of Russ on this bike have either a matching turquoise or black fork. 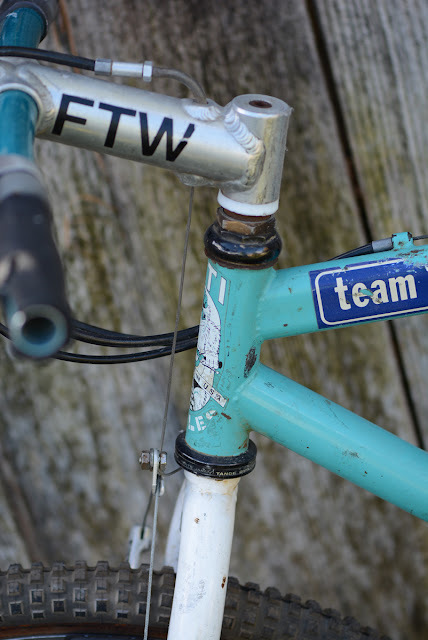 The decals were actually downtube decals used on some of the very early bikes. 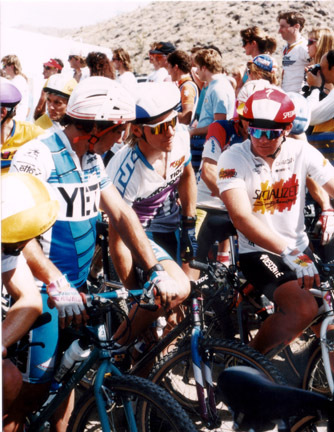 Russ being a bigger guy may have preferred Bullseye cranks over Cook Bros, although his first Yeti was outfitted with Cook Bros cranks. These definitely rather worn in and need some serious attention. Fortunately I have the means to rebuild the bearings. 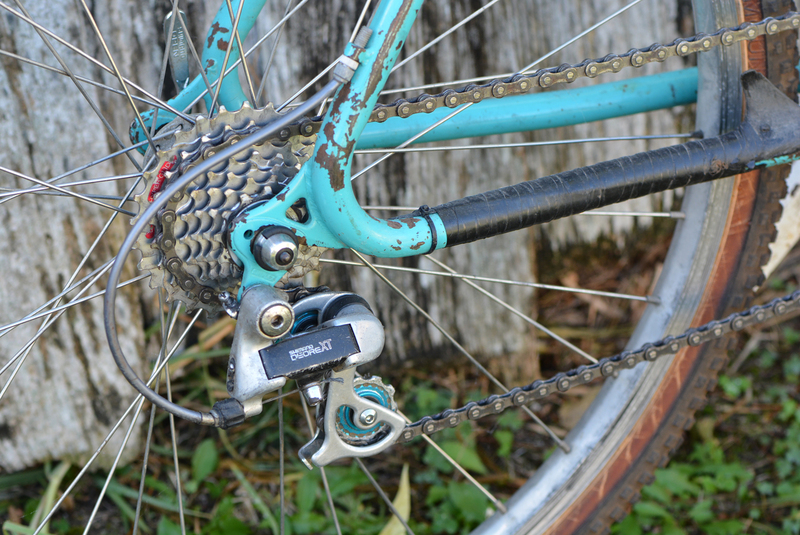 Simplex dropouts were hallmarks of the first generation FROs, looks like this one is missing its setscrews. 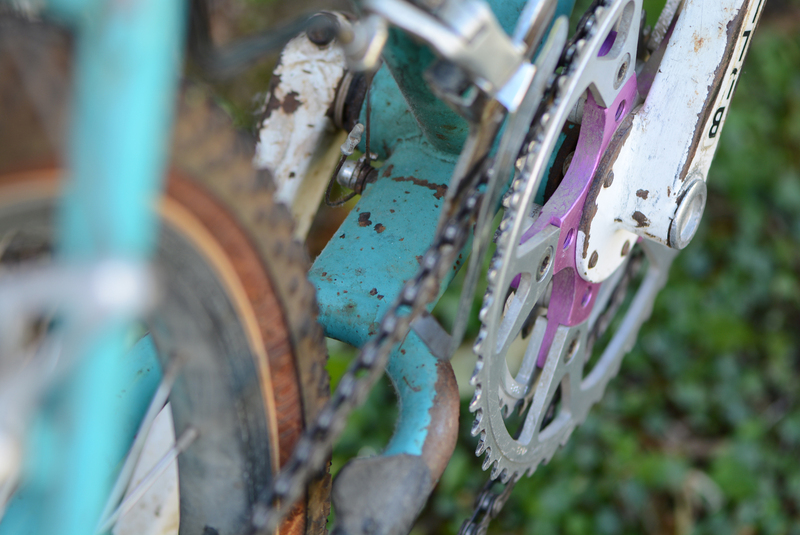 There just isn't a square inch of this bike that isn't pitted, scratched, chipped, gouged or otherwise worked over. Brakes not looking like they are doing anyone any real good. Cool Strong carbon seatpost is a unique feature that I've seen on another early FRO (XR341) which may have been undergoing testing for use by the broader team (speculation). This post is really just a thin wrap of carbon over an Aluminum core, not really all that light. 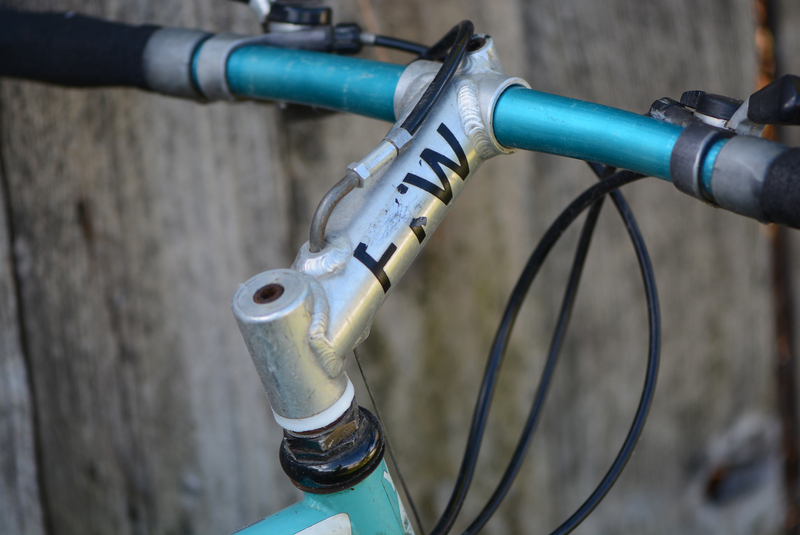 Another view of the FTW stem, it's really quite the piece of work. 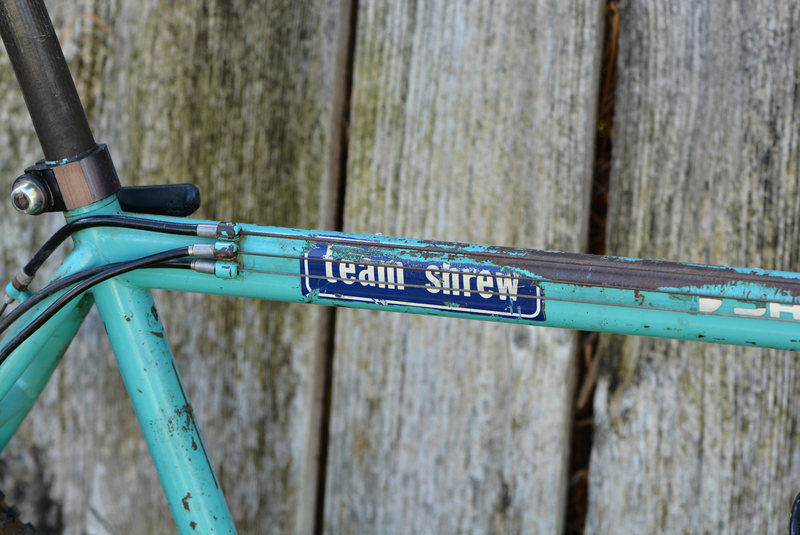 Easton decals were common even on the steel frames, it highlights the close relationship between the two companies leading up the the development of the C-26 and the ARC. Cockpit is looking a bit worse for wear, but aside from the rubber boots and far past their expiration date foam grips is still functional. I think I may try a video documentation of the restoration process on this bike and see if I can capture some of the intricacies of getting one of these vintage rigs back to life in real time. Worth a shot. Thanks for sharing the Russel Woorley race bike as well as pictures of your bike.I also like to join these racing things and going to participate in next racing in my area. Hope for the best.